The Second Harvest Food Bank of North Central Ohio has a little more money in the bank today. It comes courtesy of Jamie’s Carpet shop, who teamed up with WEOL for the Touchdowns to Tackle Hunger Campaign during the High School Football Season. 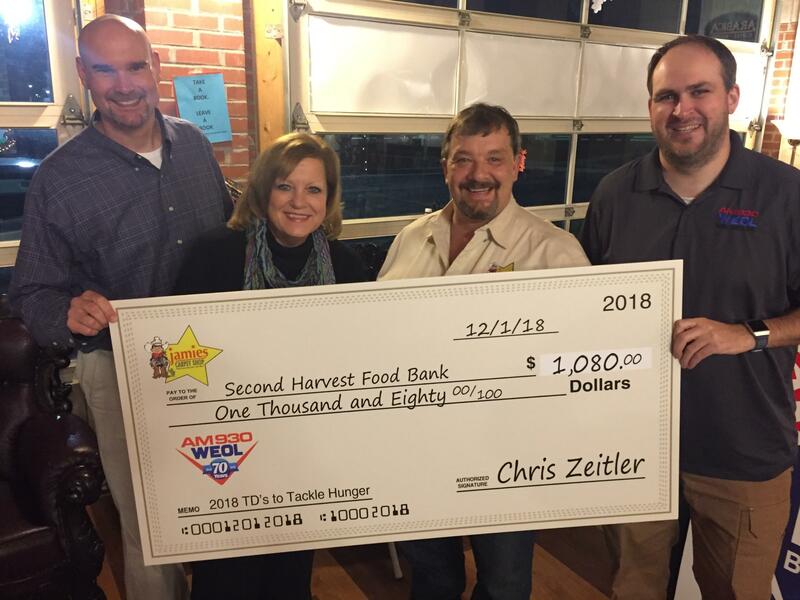 On Dec. 4 During Bull’s Eye on the Afternoon live in Amherst, Chris Zeitler of Jamie’s Carpet shop and Susan Bartosch of the Second Harvest Food Bank of North Central Ohio got together for the check presentation. This year $1,080 was given to the Second Harvest Food Bank.